Even if traders are aware of a lot of technical stuff about the market only their mindset will determine the success. Every trader will trade in the market with the knowledge they have acquired about the market. The mindset will vary from trader to trader. But to succeed in the market, each one should have strong will power. We will provide some important tips and try to follow that. 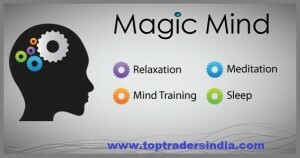 If you are continuously facing loss in the market then it’s time for you to stay away from market. Let your family be at peace without any problems. Do not invest the money in the market for which you keep it for any necessary expenses like education fees, the money that you saved for building the house or for marriage or for family purposes. Do not invest the money in the market by borrowing money for interest. Because this will create stress for the traders. Do not ask opinion to many people because this will divert your mind, even if you know something about the market and may trade wrongly. Stop Loss is very important. You might know about your loss if you are aware of stop loss and so there is no way to panic while trading. If you are going to get tips for money, then ask the tips providers, trading ledger or their client’s one year ledger balance. Because today they earn more money by providing tips than trading. So everyone should be careful in this. Do not trade during the time of a stock’s result or during the time of the announcement of the data. Try to trade with your own knowledge by learning more in the market. Do not trade with the mindset that you cannot succeed in the market. Take only a 5% risk per trade in your total investment. In this the % may vary depending upon the experience the traders had in the market. Do not trade by having many personal commitments. Also, do not trade immediately if the stop loss got hit. Do not trade with the mindset that only by earning in this you need to fulfill your necessary expenses. Also, do not over trade with the mindset that you have won quickly. If you succeed, then everything will come up with you. So trade positively with strong mindset.